All new runners: Please make sure you have a new running shoe. Other Marathoners: If you have crossed about 400-500 miles in your old shoe or if the shoe is more than 1 year old, time to change. Wear a running socks (moisture-wicking & non-cotton fabric) or any sports socks for first run. We strongly urge everyone to go “synthetic”, running t-shirts and shorts/pants for running. Please carry a water bottle or hydration belts (if you have one). Even if it’s not the heat of summer, hydration & dehydration can affect your running performance, your health, and simply, how you feel on your casual run. We recommend RunKeeper mobile app to track your runs. RunKeeper has a great set of stats for seeing when you’re improving, checking your pace, and getting a better understanding of how you’re doing. When you have a time you’re particularly proud of you can share that through Facebook. 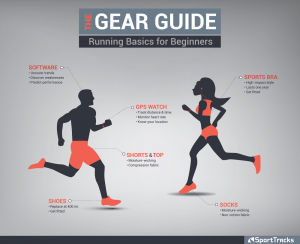 If you don’t have proper running gears, don’t worry. Come with a comfortable clothing and shoes for running first day. We will guide you what to buy and where to buy them. Also, we will give you the ways to get some discounts too. This entry was posted in RUN, Running Tips. Bookmark the permalink.